When budgets are in free fall you need support to build the best strategy, manage the risks and lead your team in your area. 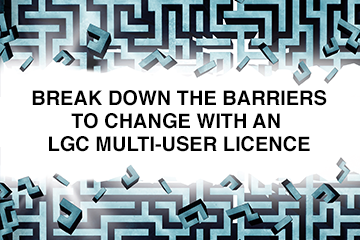 LGC Multi-user Licence for your team is a cost effective solution to help transform your local government. Our team has used LGC to help public health people integrate into and get to grips with key issues in local government council including changes from the NHS. Several team members read LGC regularly and our online licenses makes access to existing and archive content easy. Wider too, LGC articles has sparked discussions across our council around innovation or challenges." LGC offers your management team insight into the latest policy and finance developments. Our extensive contacts with policy makers, national bodies and councils means that we can concisely and clearly pass on vital business intelligence to help you plan ahead. LGC explains how other councils have responded to budget cuts, policy changes and the need to raise service standards. LGC understands and investigates some of the biggest pitfalls facing the sector, giving you advance warning of potential problems. LGC carries advice and information from the most important opinion formers in and around local government to help you understand how to benefit from the devolution of powers and help build economic growth. For more information about LGC multi-user licence contact us by using the details below. Alternatively arrange a call back.